In this Aug. 17, 2018 file photo, family and friends who have lost loved ones to OxyContin and opioid overdoses protest outside Purdue Pharma headquarters in Stamford, Conn.
As the nation’s opioid crisis was deepening, the company that makes a powerful prescription painkiller considered marketing an anti-addiction drug to “an attractive market” of people with addictions, according to allegations in court documents made public Thursday, Jan. 31. On Thursday, the company lost a legal battle to keep some parts of the lawsuit confidential. The state made public for the first time a wholly unredacted version of the complaint it filed last year. 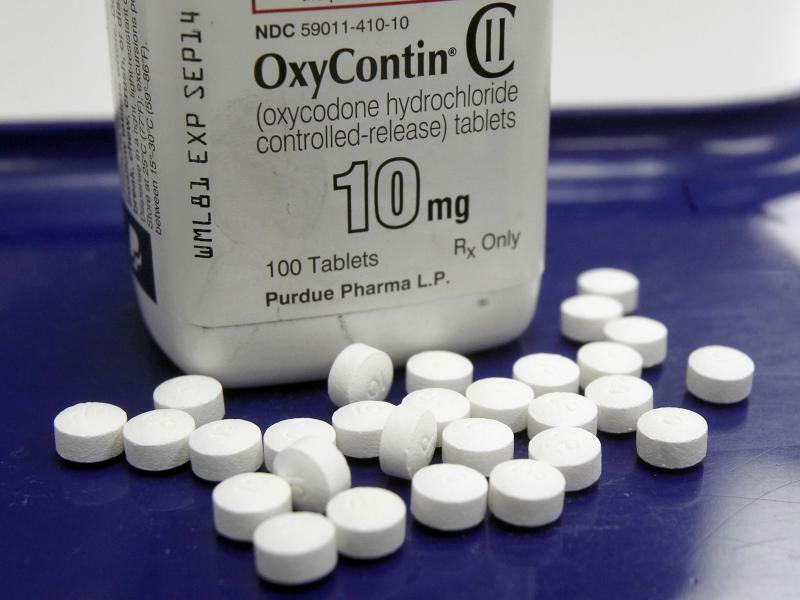 Most of the lawsuits name multiple defendants in addition to Purdue, including other drug manufacturers, distributors or pharmacies. The Massachusetts case focuses solely Purdue and the family that runs it, the Sacklers. Between 1999 and 2015, roughly 300,000 people in the United States died from opioid overdoses. And of the five states with the highest rates of drug overdose deaths in 2016, four were in Appalachia. The opioid epidemic is killing our friends and neighbors.